Rewilding Southern Carpathians team is working to involve youngsters in the conservation of local wild nature. 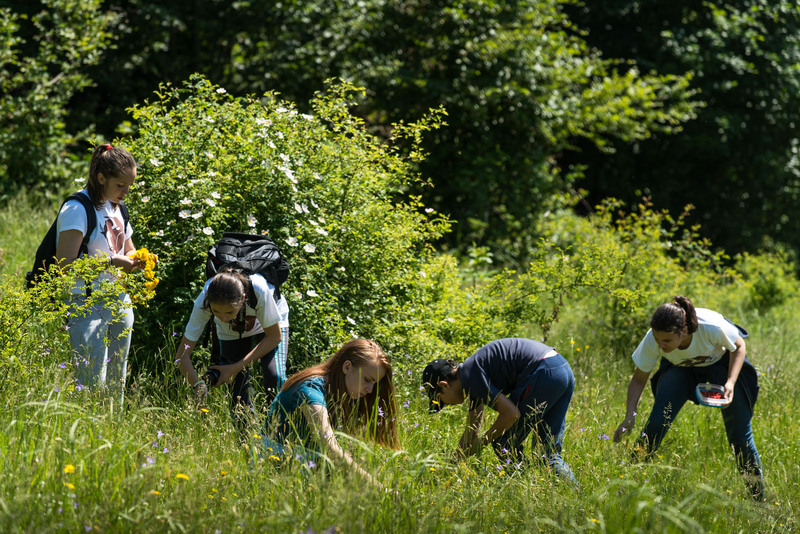 An ambitious education programme recently launched in an area of the Southern Carpathians in Romania aims to involve youngsters in the conservation of local wild nature. 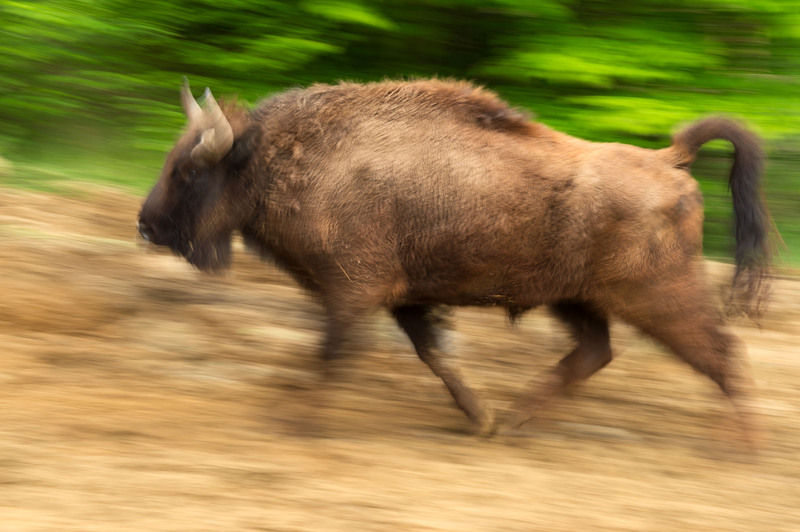 It will build on the achievements of the European Commission-funded LIFE Bison project, through which Rewilding Europe and WWF Romania have been reintroducing European bison into the Southern Carpathians. The educational outreach programme is part of a vision for using nature – with a particular focus on the reintroduced bison – as an engine for developing the region, with ongoing investment in nature-based tourism, community development, education, nature research and technological innovation. Members of the bison rewilding project team met with representatives of five schools in the Southern Carpathians (from the counties of Hunedoara and Caras-Severin) at a school in the village of Armenis on November 11 to launch the non-formal education programme. This will run for two school years and involve students from the fifth to eighth grades. Teachers from each of the schools were trained at the event. The rewilding project team met with representatives of five schools in the Southern Carpathians to launch the education programme. 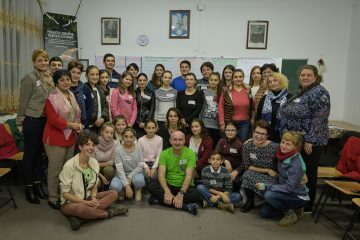 The programme will follow a model established by WWF Romania in the Southern Carpathian region between 2014 and 2016, when five youth clubs were established. The clubs, which together form a network titled “Getting active for wilderness in the Southern Carpathians”, will act as a template for the five new schools. Catalina Murariu, WWF Romania’s Coordinator of Education for Sustainable Development and a trainer at the November event, is confident that the new youth clubs will take inspiration from the valuable results already achieved by the network over the past few years. The education programme has a number of objectives. Participants will understand the role and hierarchy of a youth club dedicated to nature conservation. Participants will be able to name and describe the protected areas, habitats and species in their region, including the bison. They will understand the benefits that the reintroduced bison bring to the local ecosystem, and identify ways in which they can help protect and promote these natural values. Participants will acquire skills related to wildlife identification and monitoring, nature interpretation, survival in the wild and guiding. Local teachers will acquire the knowledge and skills to oversee and develop their bison youth clubs in collaboration with the LIFE Bison project team. By connecting the new bison youth clubs with other wilderness youth clubs launched in the region, a mutually supportive network sharing the same values will be established. The LIFE Bison project includes annual bison releases in the Romanian Tarçu and the Poiana Ruscă Mountains. Once widespread across Europe, wild European bison were driven to extinction in the early twentieth century by hunting and habitat loss. Since 2013, Rewilding Europe and WWF Romania have been working together in the Southern Carpathians rewilding area to restablish a free-roaming population of this iconic animal. The first two bison releases took place in 2014 and 2015, close to Armenis. In June 2016, a third bison release took place as part of the LIFE Bison Project, with a fourth release of nine animals taking place in April this year. Three calves were born into the reintroduced herds this year.